New Lonza building in Pearland. HOUSTON – (Realty News Report) – Zeller Realty Group has acquired the new Lonza Viral Therapy Facility, a, 276,770-SF biotechnology building on Kirby Drive in Pearland, south of Houston. HFF represented the seller, Pinchal & Co. Additionally, HFF worked on behalf of Zeller, a Chicago-based investment and development firm to secure an acquisition loan through Bank of Texas. 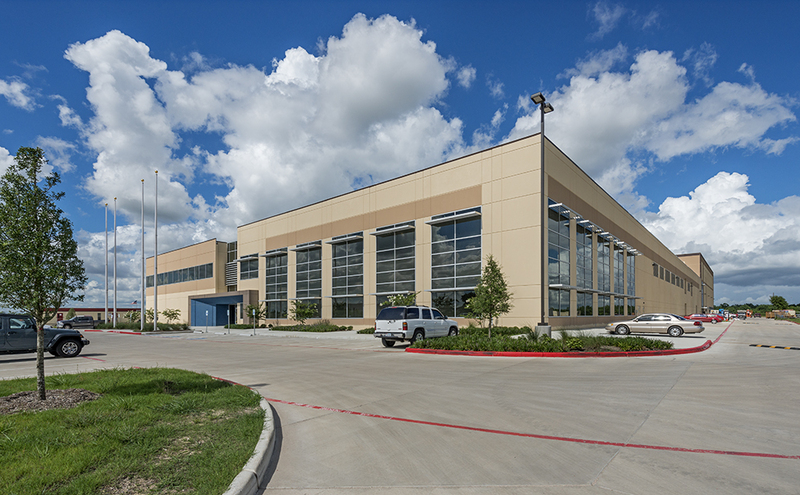 The facility is situated on 11 acres at 14905 Kirby Drive in Pearland’s rapidly growing Lower Kirby Urban District. With a number of medical-related firms in place, the Lower Kirby district is a 1,200-acre development that seeks to become a primary life science destination. Lower Kirby is located near the southwest corner of Beltway 8 and State Highway 288, eight miles south of the Texas Medical Center, the largest medical center in the world with more than 100,000 employees. Completed in the fourth quarter 2017, the Lonza Viral Therapy Facility is fully-leased on a long-term, triple net basis to Lonza America Inc., a subsidiary of Lonza Group AG, a Swiss biotechnology and pharmaceutical company. Lonza’s Pearland facility is the world’s largest cell and gene therapy manufacturing facility. It houses office space, a process development unit, quality control laboratories, a fully segregated fill/finish suite and independent modular cleanrooms designed to manufacture cell therapy products. By the end of the year, Lonza expects to have 200 employees at the facility. A grand opening ceremony was held in Pearland on April 10. Founded in 1897 in the Swiss Alps, Lonza today is a global company with more than 100 sites and offices and 14,500 full-time employees. Cell therapy is the administration of living cells into a patient’s body with the purpose of growing, replacing or repairing damaged cells for the treatment of a disease. These cells can come from an individual’s own cells (autologous source) or from a donor (allogeneic source). Gene therapy is defined as a set of techniques that seek to modify, replace, inactivate or introduce genes into a patient’s body with the goal of treating, preventing or even curing disease. These techniques include transferring genes to cells inside a patient’s body (in vivo) or modifying a patient’s cells outside of the body and re-introducing them into a patient’s body (ex vivo). Each technique involves the application of a nucleic acid (specifically, DNA or RNA). Since DNA and RNA are normally not absorbed by cells, special carriers called vectors are required. Vectors can be either viral or non-viral. In the Zeller purchase of the building, HFF’s investment advisory and debt placement teams included Jeff Hollinden and Cameron Cureton. Lonza Group Ltd has its headquarters in Basel, Switzerland, and is listed on the SIX Swiss Exchange.